Item # 301040 Stash Points: 799 (?) This is the number of points you get in The Zumiez Stash for purchasing this item. Stash points are redeemable for exclusive rewards only available to Zumiez Stash members. To redeem your points check out the rewards catalog on thestash.zumiez.com. 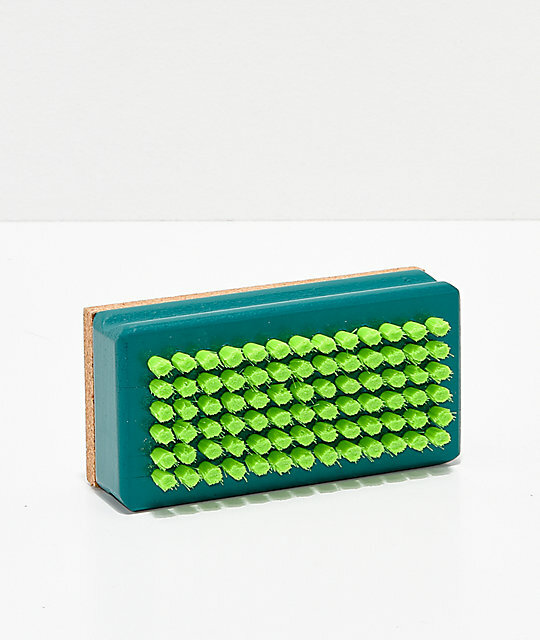 Post hot waxing and scraping, you can use this brush and cork pad combo to bring out the structure of your base so you can go faster. 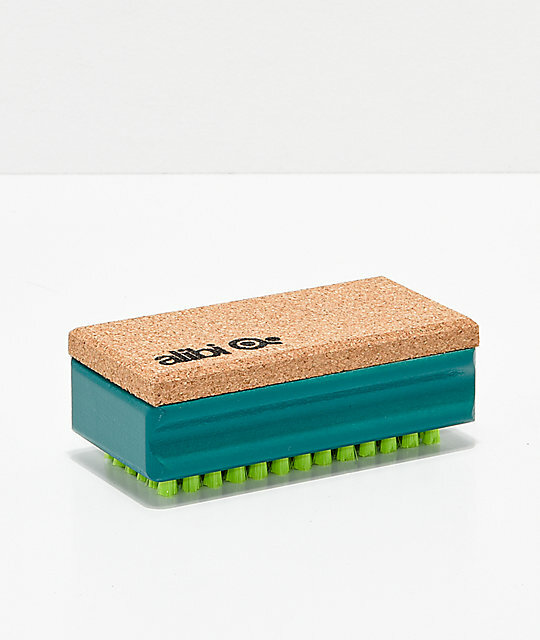 Nylon Waxing Brush from Alibi. A nylon brush for tuning snowboards and skis. Wooden handle w/ grooves for grip. Dimensions: 2" x 4" x 1.5" | 5 x 10 x 4cm (approx). Use as directed by the manufacturer.